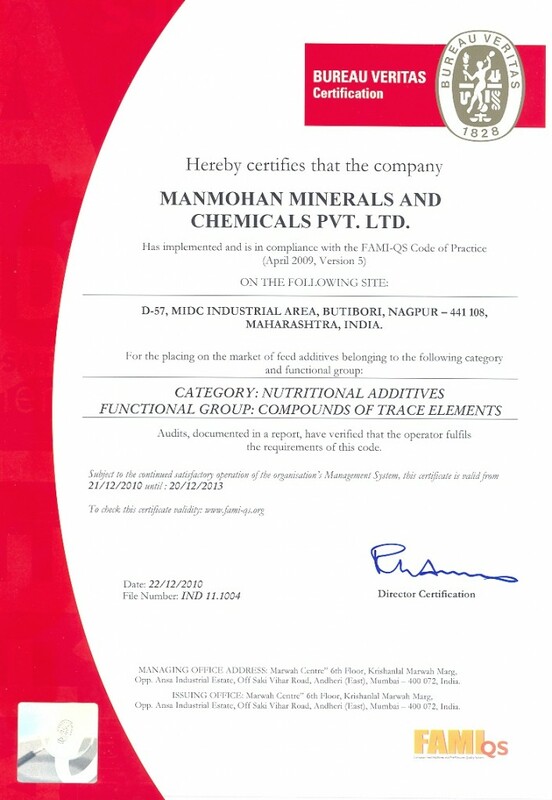 Manmohan Minerals and Chemicals (P) Ltd has been FAMI-QS certified since December 2010. 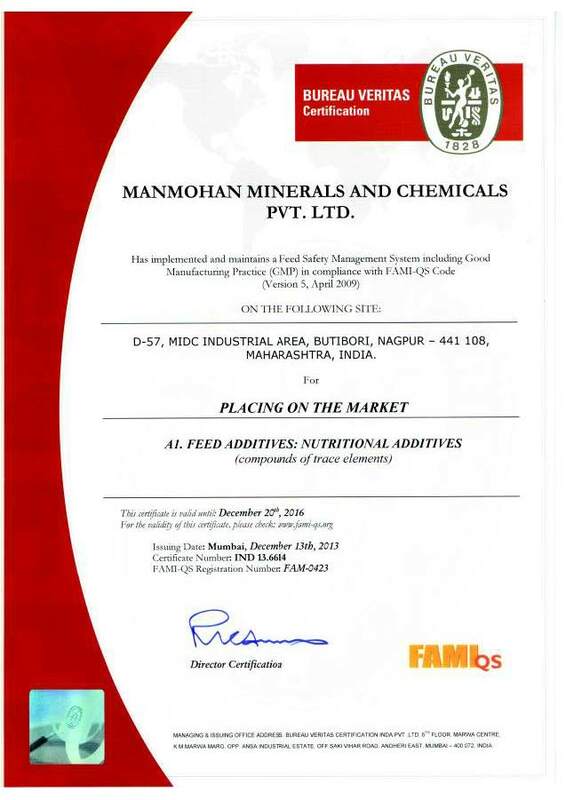 The company was successfully audited by Bureau Veritas in December 2016 and found to be in full compliance with FAMI-QS standards. 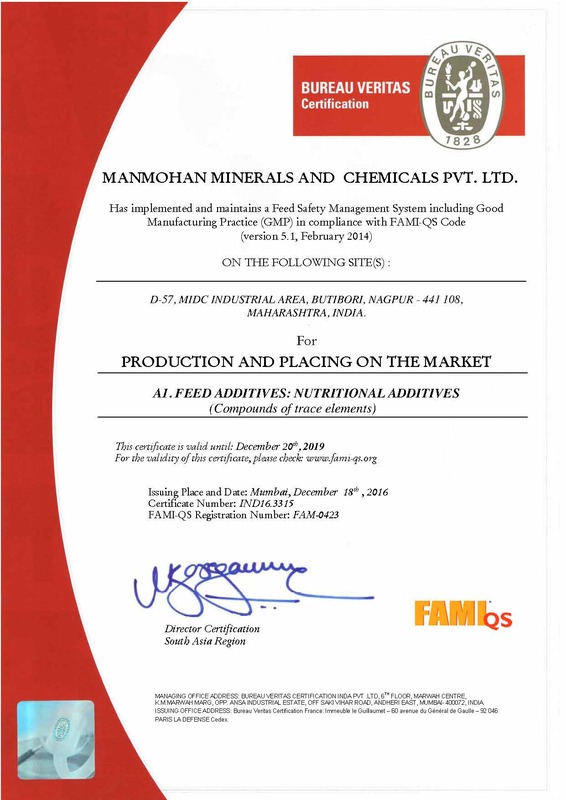 Following the successful audit, the Company’s FAMI-QS certification was renewed till December 2019.